After checking out of the Kimpton Canary, we spent the day with family in Burbank. 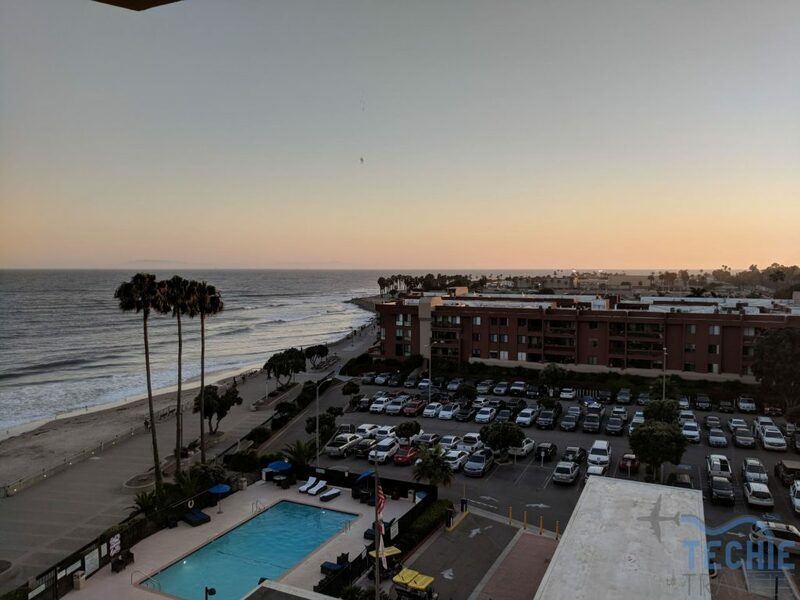 We then drove to Ventura and checked in to the Crowne Plaza Ventura Beach. The hotel was a pretty standard Crowne Plaza conference hotel. Like the Kimpton Canary, the location of the hotel is excellent. 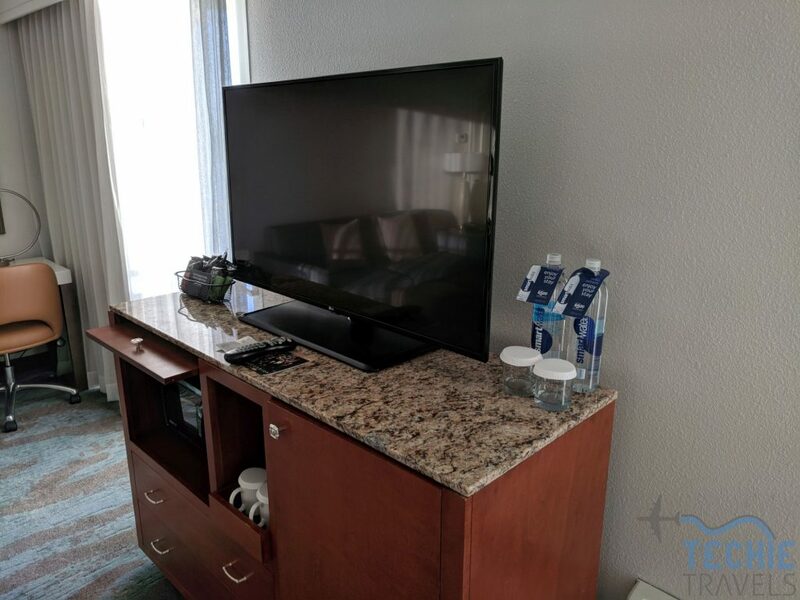 It sits right on the oceanfront and the promenade, pier, and a beautiful beach are right outside the door. 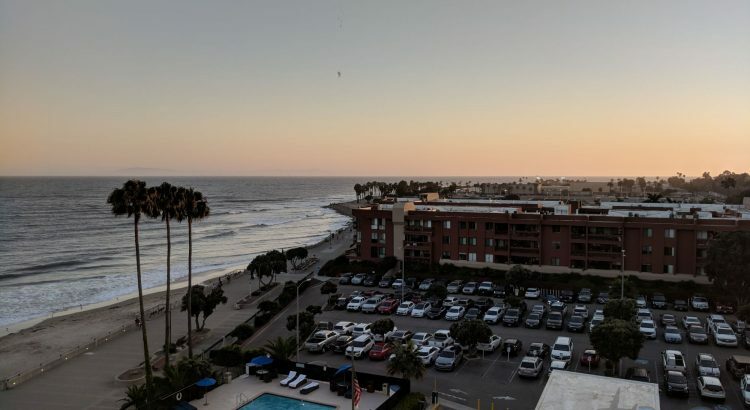 It is only a short walk to all the restaurants and shopping in downtown Ventura as well. It was recently remodeled in 2017 so everything inside was quite modern. Valet is $16 per night and self-park is $8 per night at the public garage next door. We went with the self-park option for cost and flexibility. Having booked the hotel using Citi ThankYou points, I did not expect anything in terms of elite benefits. 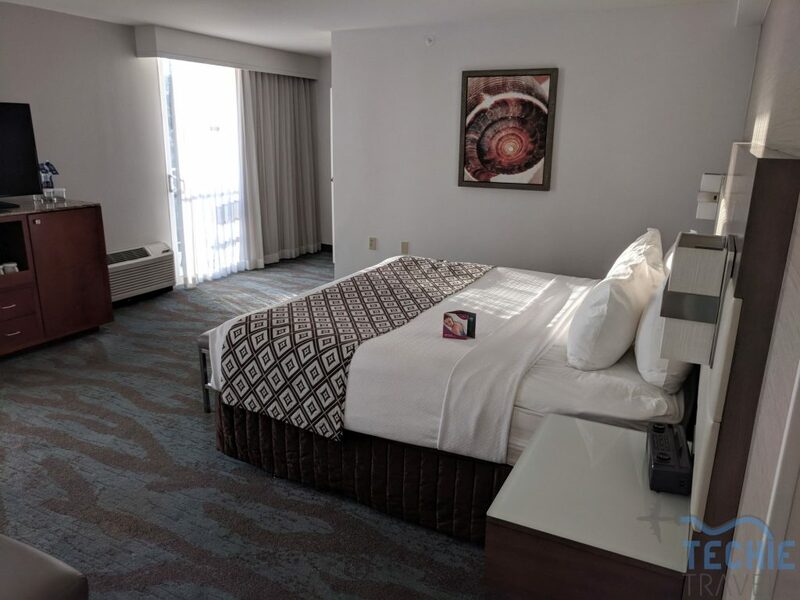 However, the front desk did add my loyalty number to the reservation and gave us some water and drink coupons for being a platinum member through the Chase – IHG Rewards Club card. I did not realize it at the time, but it looks like we were upgraded to a king executive suite. The room was very large, but not divided at all as you would expect in a suite. 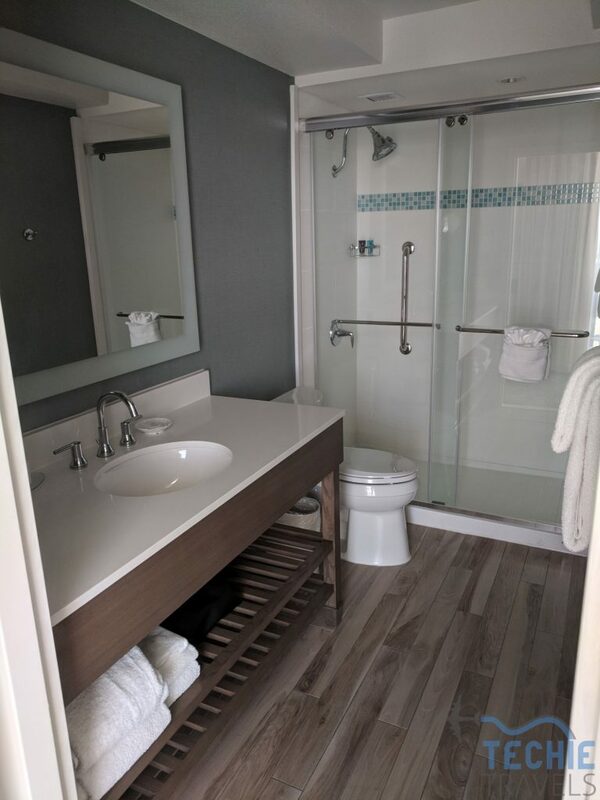 They did a good job with the remodel and I found the room tastefully modern. We were on a higher floor so we had a beautiful view of the beach and promenade. Every room has at least a partial ocean view though. The pool was large and well-kept, but they did not seem to have enough loungers or seating in general around the pool. They also had a very nice fire pit right along the promenade. The workout facilities were standard but functional. We only used our drink coupons at the bar and did not eat at the hotel so I cannot comment on the dining options. As noted before, the pier and downtown are very close so finding a place to eat is not a problem. My main complaint about the hotel was the noise. The walls were paper thin. 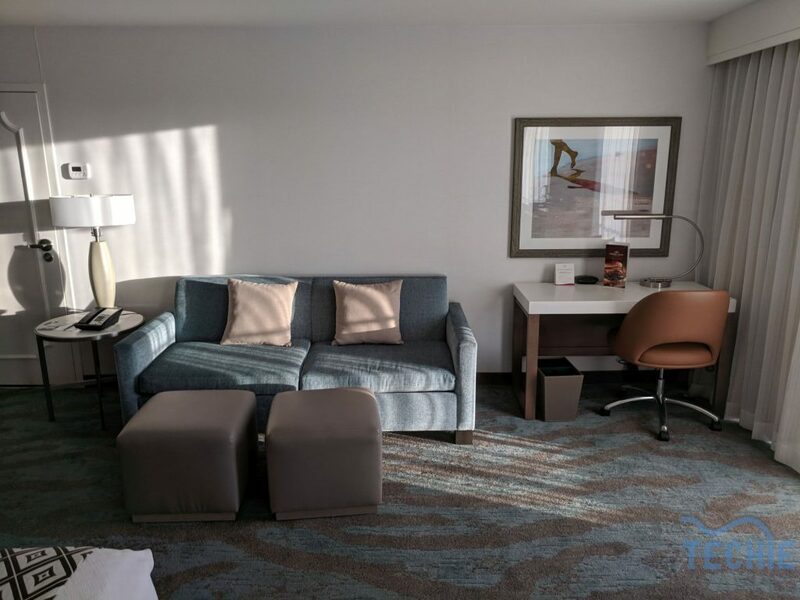 In addition, the Amtrak line and US 101 ran right next to the hotel and the sliding glass doors did not keep any noise out. That being said, the excellent location and modern facilities more than make up for the noise factor.